There’s no denying it! A lot of shows have predicted the future. What we initially thought as only conceivable in our imagination before has now become a part of our everyday life in the past few years and for the years to come. And whether it’s intentional or not, there is no doubt of the existence of anime shows that predicted our future. Everybody knows how infamous The Simpsons is, for accurately predicting the world’s groundbreaking events. But while that side of the story is shrouded in all sorts of conspiracy theories, there are programs on television that managed to predict some futuristic event — at one point or another. I won’t give away too much if you’re one of the many who haven’t seen the anime, or just simply refused to watch it — for some reason. But just know that the plot resembled around a young teenaged protagonist, Kirigaya Kazuto. He, along with thousands of others found themselves trapped in a virtual reality game — Sword Art Online. Yes, there have been other animes who have tackled the subject of virtual reality, but they only did it briefly. To be fair, SAO was the anime that sparked people’s interest in the common gaming method we have today. The concept of the show was literally built around kids gallivanting about in a virtual world viewed through a VR helmet (in season 1) and a VR headset (in season 2 and beyond). It’s a massively underrated anime easily overlooked by the modern crowd. As a result, it easily drowned and gave in to anonymity. Personally, I haven’t watched it myself because I wasn’t even born during that time period. But when I found it on other resources on the internet, I felt compelled to put it in myself because it’s pretty precise. Apparently, the plot revolved around Eve, a virtual J-pop idol that society was weirdly obsessed with. Until… Fast forward to approximately three decades later, we have the vocaloid, Hatsune Miku — who does concerts, performs on stage, and has thousands of fans screaming her name. The icing on the cake? She’s not physically real! Hurray for anime shows that predicted our future! For those of us born in the late 1990s, a lot of us will say that Yu-Gi-Oh Duel Monsters was a part of our childhood — one way or the other. From the cards to the ideas, I personally wouldn’t have thought this would be one of the anime shows that predicted our future. I don’t want to go off on a charged rant in a publication… But why?! Every resource I’ve looked into involving a similar topic has no mention of this card game giant, whatsoever. Well, to be fair, Yu-Gi-Oh is an anime show revolving around children’s card games. But come on! Anybody who’s seen the anime (or read Takahashi’s manga) would know that Kaiba Corp’s CEO, Seto Kaiba was obsessed with bringing card game monsters to life. And he did. But how? In Season 1 — shortly after their return from Duelist Kingdom, and during Battle City in season 3, the whole Yu-Gi-Oh gang (Yugi and his friends, Kaiba, and Mokuba) were sucked into a virtual world where they were forced to contend against corporate goons to bring Kaiba’s company back. I’m not going to get into how Kaiba Corp’s stock remains intact despite the number of times Mokuba’s been kidnapped and how Kaiba’s enemies keep trying to swipe the million dollar corporation from under his nose. The name was a bit on the nose, but what else do you call tech’s ability to project card game monsters into the field? Oddly enough, the way esports has made use of AR recently is very much reminiscent of how Yu-Gi-Oh Duel Monsters tournaments were held in the anime. Take for instance, the League of Legends World Championship in both 2017 and 2018. There’s literally an AR-generated Elder Dragon flying around the stadium, and people were looking at it through their phones. This kind of display is what innovators are constantly working towards. And in the not-so-distant future, there’s a huge possibility that people will be viewing esports tournaments through AR headsets, giving us that nostalgic Yu-Gi-Oh experience we only ever saw on TV before. Need I say more about anime shows that predicted our future? We can now safely say that whatever we could only imagine before is now highly possible. Intentional or not, there’s no denying that there are anime shows that predicted our future. Who would have thought we’d have VR, AR, virtual idols, and the like? Personally, I’m at a loss for words. The way technology has evolved is crazy. But just like everybody else, I can’t wait for what’s in store for all of us. 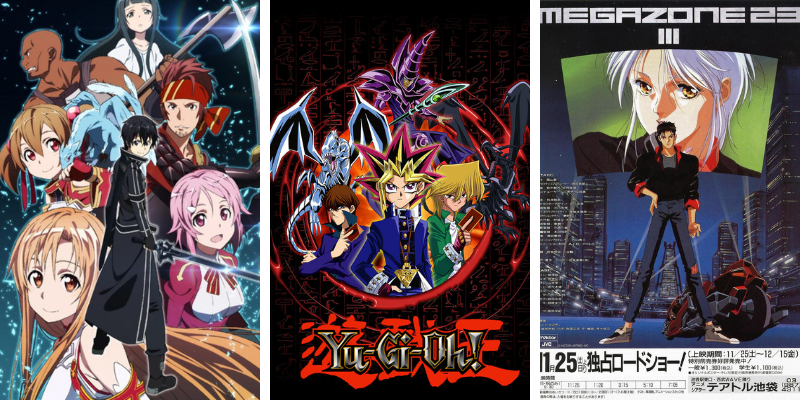 Check out our newest video, and an even more detailed discussion on Scoopfed TV about these anime shows that predicted our future. Looking for more top 3 lists similar to this? Check out Scoopfed’s other articles.